The supervisor is provided support by managing the flow of information and communications, prioritizing and highlighting issues that need addressing. Ensure that the supervisor is prepared for meetings and missions by drafting talking points, by researching relevant information, and by establishing contacts (within and outside UNHCR) on the subject matters to be discussed. Accompany the supervisor to meetings and on missions in order to prepare notes on the discussions, ensure follow-up in matters raised, and support the supervisor with any relevant input. Support the supervisor in efforts to raise the profile of UNHCR and the agency's concerns within the context of the broader United Nations system. Contribute to coordinating drafts of position papers and other documents relevant to the activities of the Office. Ensure that high-level visitors are appropriately addressed, that they receive background information as necessary, and that protocol is respected. The Associate Protection Officer reports to the Senior Protection Officer. The incumbent will have supervisory responsibility for protection staff. He/she provides functional protection and legal guidance to the operation, ensures protection standards are maintained, and develops protection procedures and practices in line with international standards. sectors mainstream protection methodologies and integrate protection safeguards. He/she contributes in designing a comprehensive protection strategy and in representing the organization externally on protection doctrine and policy, as guided by the supervisor. He/she also ensures that persons of concern are involved with the Office in making decisions that affect them, whether in accessing their rights or in identifying appropriate solutions to their problems. To achieve this, the incumbent will need to build and maintain effective interfaces with communities of concern, authorities, protection and assistance partners as well as a broader network of stakeholders who can contribute to enhancing protection. – The protection of populations of concern is met through the application of international and national law, relevant UN/UNHCR protection standards and IASC principles. – The protection strategy incorporates a thorough age, gender and diversity (AGD) analysis and reflects the Organization’s global, regional and country level priorities. – The participation of persons of concern is assured through continuous assessment and evaluation using participatory, rights and community based approaches. – Protection incidents are immediately identified and addressed. developments that have an impact on the protection environment in Tanzania. ii/ Provide UNHCR management with accurate analysis of Tanzania law relevant to the protection of and solutions for persons of concern. iii/ Promote international and national law and applicable UN/UNHCR and IASC policy, standards and codes of conduct. iv/ Foster their consistent and coherent interpretation and application through mainstreaming in all sectors and /or in clusters in applicable operations. v/ Assist in providing comments on existing and draft legislation related to persons of concern. vi/ Provide legal advice and guidance on protection issues to persons of concern; liaise with competent authorities to ensure the issuance of personal and other relevant documentation. 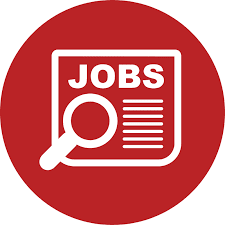 vii/ Supervise and conduct eligibility and status determination for persons of concern in compliance with UNHCR procedural standards and international protection principles. viii/ Promote and contribute to measures to identify, prevent and reduce statelessness. ix/ Contribute to a country-level child protection plan as part of the protection strategy to ensure programmes use a child protection systems approach. x/ Contribute to a country-level education plan. xi/ Implement and oversee Standard Operating Procedures (SOPs) for all protection/solutions activities. xii/ Oversee and manage individual protection cases including those on SGBV and child protection. Monitor, and intervene in cases of refoulement, expulsion and other protection incidents through working relations with governments and other partners. xiii/ Recommend durable solutions for the largest possible number of persons of concern through voluntary repatriation, local integration and where appropriate, resettlement. xiv/ Assess resettlement needs and apply priorities for the resettlement of individuals and groups of refugees and other persons of concern. xv/ Contribute to the design, implementation and evaluation of protection related AGD based programming with implementing and operational partners. xvi/ Contribute to and facilitate a programme of results-based advocacy through a consultative process with sectorial and/or cluster partners. xvii/ Facilitate effective information management through the provision of disaggregated data on populations of concern and their problems. xviii/ Contribute to capacity-building initiatives for communities and individuals to assert their rights. xix/ Participate in initiatives to capacitate national authorities, relevant institutions and NGOs to strengthen national protection related legislation and procedures. – Intervene with authorities on legal and protection issues. 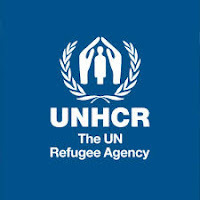 – Negotiate localy on behalf of UNHCR. – Enforce compliance of staff and implementing partners with global protection policies and standards of professional integrity in the delivery of protection services. Enforce compliance with, and integrity of, al protection standard operating procedures. experience may also be accepted. For National Officer, very good knowledge of local language and local institutions is essential. i/ Prior practice in a legal role. ii/ Diverse field experience desirable. iii/ Good IT skils including database management skills. iv/ Completion of the Protection Learning Programme, RSD-Resettlement Learning Programme. v/ Knowledge of additional UN languages. Interested candidates should express their interest by completing the attached Personal History Form and the Supplementary form if needed in full. Please quote the Vacancy Notice Number and Position title. Due to the volume of applications only short listed candidates will be contacted. Qualified female and candidates with disabilities are encouraged to apply.